Golden Globe® and Emmy® Award-winning actor Alec Baldwin stars in a brand-new, prime-time talk show bringing his unfiltered, provocative interview style to television with The Alec Baldwin Show, premiering SUNDAY, OCTOBER 14 10|9c, on ABC, streaming and on demand. The Alec Baldwin Show gives viewers a front-row seat to in-depth, intimate and candid one-on-one conversations as Alec, a prolific entertainer and quick-witted personality, sits down with some of the most compelling celebrities and cultural icons of our time. Alec's distinctive interview style and extraordinary ability to draw out never-before-told personal stories, coupled with a newsworthy roster of guests, make for a captivating hour of television each week. The series premiere episode features Robert De Niro and Taraji P. Henson. Airing Sunday, October 14, the series kicks off with a conversation with acting legend, successful businessman and native New Yorker, Robert De Niro. They discuss his unparalleled career, six children, synonymous affiliation with New York, success in restaurant and hotel business, and the current state of politics. 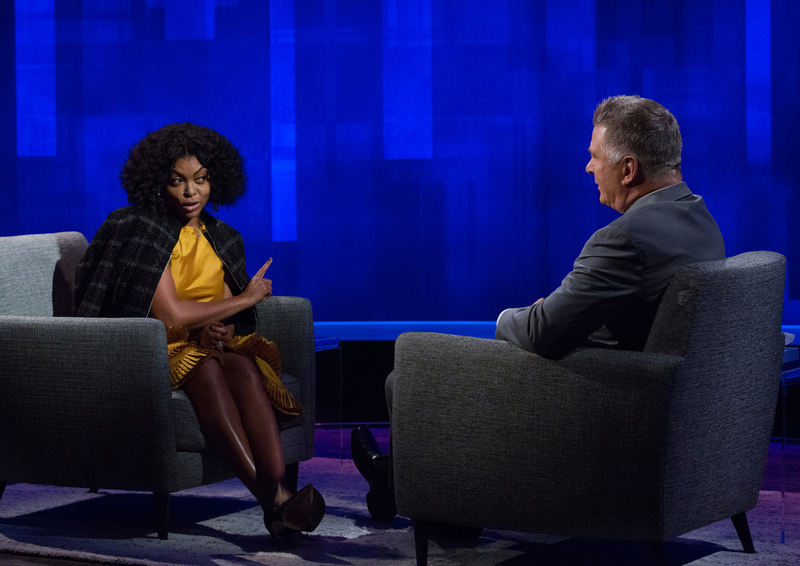 Next up is Taraji P. Henson, the award-winning actress talks to Alec about fighting for her career, being a mom, her upcoming first marriage and the role that brought her back to television. The episode on Sunday, October 21 features Kim Kardashian West. The reality star, entrepreneur and cultural phenom Kim Kardashian West spends the hour talking to Alec about her famous family including husband Kanye West, her impressive journey from reality star to entrepreneur and her recent political advocacy. Among the guests sitting down with Baldwin this season are Robert F. Kennedy Jr., RuPaul, Kerry Washington, former President of Planned Parenthood Cecile Richards, Jeff Bridges, Sarah Jessica Parker, former Governor of New Jersey Chris Christie, Mike Myers, Regina King, Gloria Allred, Ricky Gervais and the Prime Minister of Norway, Erna Solberg. The Alec Baldwin Show is executive produced by Jason Schrift, along with Baldwin and Mallory Schwartz via his El Dorado Pictures. The series is directed by Jerry Foley. News The Alec Baldwin Show Is Coming to ABC!